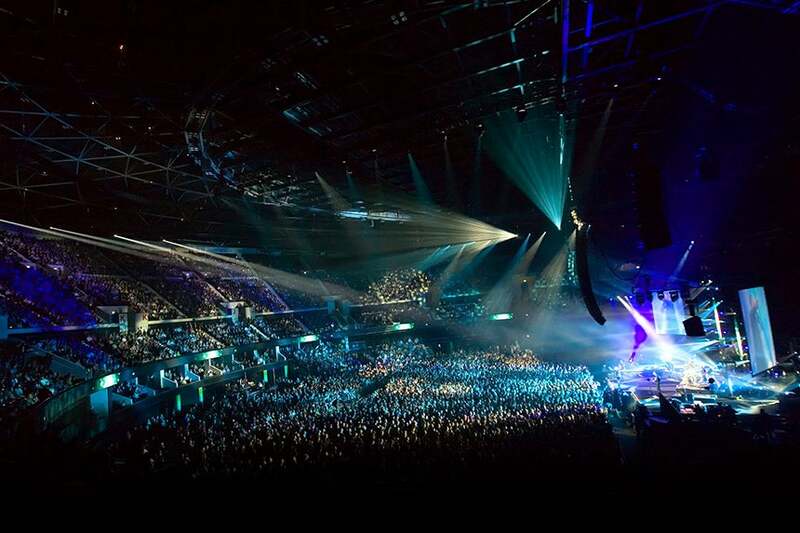 As soon as the announcement was made that Celine Dion was going to be performing in Glasgow, we knew this would be a ‘hot ticket’ and our Hydro Club members would be pleased. With over 400 tickets being reserved from the moment they went on sale, members singing down the phone to Scott and Mhairi and lots of office air grabs (diva style), everyone was totally getting into the Celine spirit! Saturday 5th August saw global music sensation, Celine Dion, take to the stage of a sold-out SSE Hydro in Glasgow after not performing in Scotland for 21 years.Hydro Club Members arrived with partners, corporate guests and family at the dedicated Guest Entrance and were greeted by our hosts. Dressed up to the nines, members were given their appropriate wristband and escorted to either The Hydro Club Restaurant, The Capital FM Starsuite or one of the 11 private executive suites. Celine opened the show with the classic ‘The Power Of Love’, sung acapella and in total darkness, creating automatic goosebumps and hyped emotion - her eventual entrance on stage was met with a true Glasgow roar and wild applause. The atmosphere was electric with every song, belting out hit after hit including ‘All By Myself’, ‘It’s All Coming Back to Me Now’, ‘Because You Loved Me’ and ‘Think Twice’ followed by versions of Michael Jackson’s ‘Black or White’ and Queen’s ‘The Show Must Go On’ & ‘Love of my Life’. Hydro crowds were given an insight into the true personality of Celine, from her funny stories of her favourite foods, to tributes to her late husband Rene which left most of the crowds slightly teary eyed. Ending the evening with a 12,000 strong sing-a-long of ‘My Heart Will Go On’, Hydro club members left the evening filled with smiles, heartfelt emotion and in total awe at how talented and inspiring the superstar really was. Many finished the night in The Capital FM Starsuite having a final drink and talking about their favourite parts of the show, with the majority describing the night as ‘incredible’ and the ‘best gig they have ever been to’. It really was a night to remember!